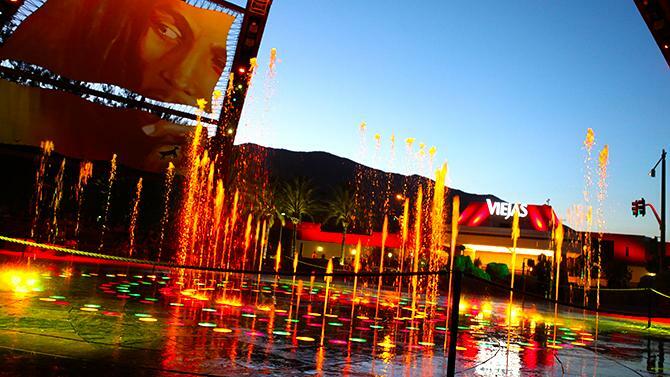 The Power of NightFire is one of the shows displayed at the Viejas Casino in Alpine, California. It is a thrilling adaptation of classic Native Amercian folklore. 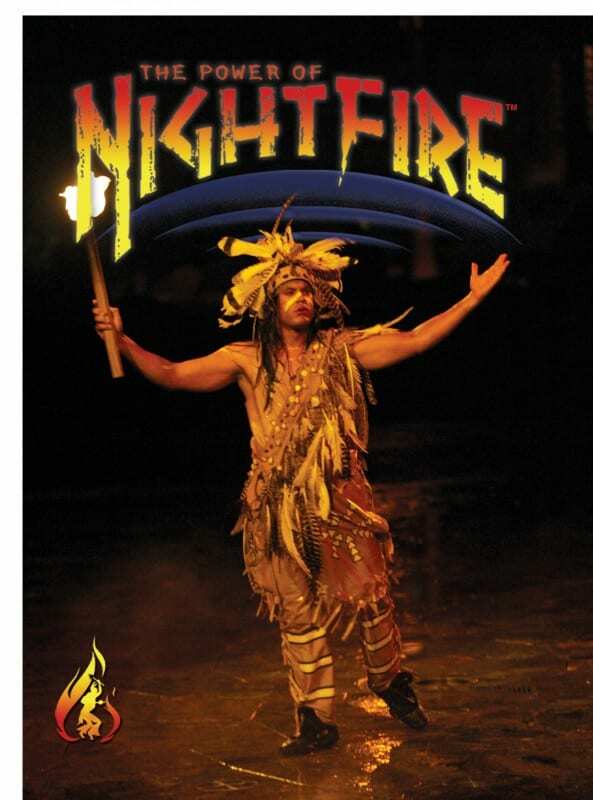 This 10,000 year old tale tells the story of NightFire, a Native American Shaman and his magical adventures. 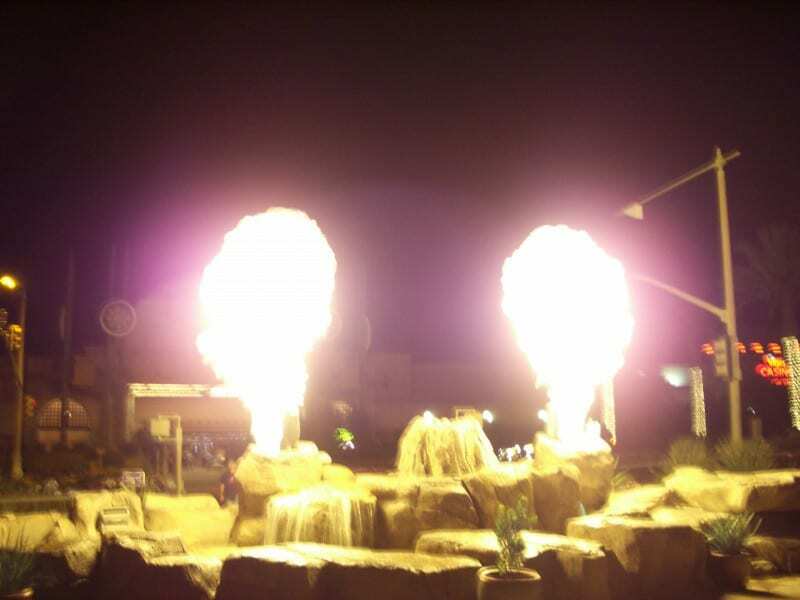 Water and fire create a fantastic show. The pool at the front of the stage also has a 60′ edge fed water screen. 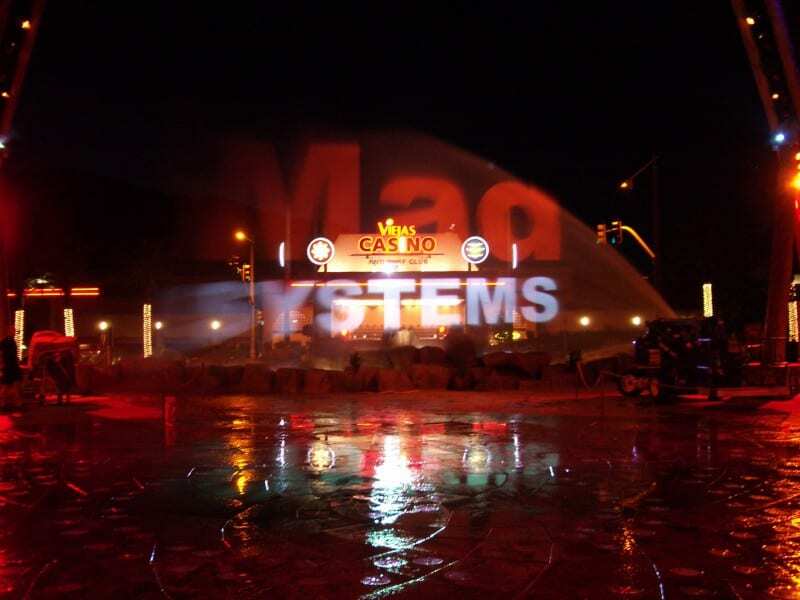 Mad installed two projectors to provide imagery onto the water screen from a building across the road to get a perfect projection position. One of the fun bits for us was when the client asked for something that could represent ‘good’ (‘evil’ being represented by 15′ burst of colored flame); the brief was to shoot water about 30-40′ into the air. 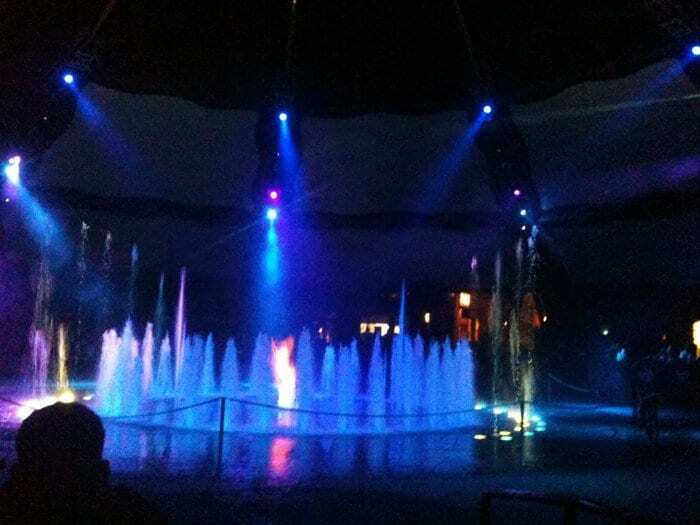 The team disappeared into the back, and before end of day we were easily reaching that – so after about a week, when we reached 150′, we decided that no further development work was required; the units installed at the venue were made from stainless steel, and to this day burst water up to 150′ in the air as part of the show. 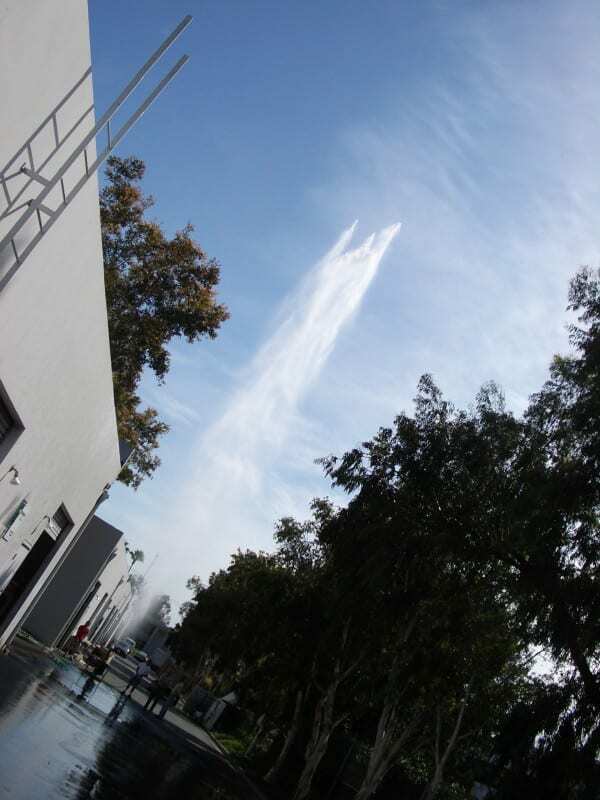 Here’s a movie showing the water cannon in action. We happened to have a spare one here at our office, so visitors to this day get an opportunity to play and shoot the water cannon for themselves. Some more images of this rather impressive show follow below.